Today's workplaces includes people from a number of different generations assuming a number of different roles. While the Employment Equality (Age) Regulations 2006 protect all workers from discrimination based on age this does not mean that there are no age related concerns left in our workplaces. In fact, though most media attention on age related workplace concerns focuses on older workers, workers of all ages may have issues that they would like resolved. Understanding age related stereotypes, asking about and addressing age related concerns and encouraging ageless activities are all ways in which workplaces can help workers to move beyond age related differences and worries. Age related stereotypes abound when it comes to workplaces. 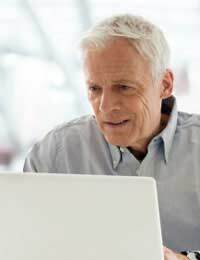 For example, older workers are often stereotyped as being slower (physically and mentally), set in their ways and unlikely to embrace new technology or methods. Younger workers may be stereotyped as inexperienced, unable to settle down and unwilling to respect traditional methods. Workers at middle age might be stereotyped as harried while workers with young families might be stereotyped as caring less about work than their children - and leaving work early or unfinished as a result. A quick look at television programmes, films and even books will all reveal stock workplace characters based on ages. Understanding how workers might believe they are viewed could provide a context for some of the age related concerns that crop up in a workplace. It may be easy to hazard a guess about workers' concerns about based on their ages, but the only way to find out for sure is to ask them. Anonymous surveys, small focus groups or even just a general call for questions, comments or suggestions can all elicit information about age related concerns in the workplace. However, any such research should be undertaken in accordance with employment legislation and no workers should feel threatened by the choice of whether or not to contribute. Emphasising that the research will help address workplace concerns and will not be used for any other reason should help workers feel more comfortable with sharing their ideas and opinions. Workplaces which do ask about age related concerns should be prepared to address the issues that come up. This may be as easy as making assurances of equal opportunities, such as by including age in policies focused on celebrating diversity and ending discrimination but it may also require that workers come together to celebrate what they can learn from each other. All workers should also be informed of age related equality issues, such as through explanations of the types of age discrimination prohibited by law as well as any exceptions to these laws. Including this information in a workers' handbook or in a special handout would be a good idea so that everyone can take possession of this information. An outline for procedures to report age related discrimination should also be promoted to workers of all ages. Celebrating what workers of all ages bring to the workplace may also help decrease or erase age related concerns in the workplace. Encouraging "ageless" activities that all workers can enjoy, from meals out to charity quizzes to holiday parties, is a good way for workers to interact informally and get to know each other. There is no guarantee that all workers will become friends, but the more opportunities workers have to get to know different individuals the more likely they will be to see what talents and skills each brings to the workplace. By understanding the value of individual workers will then hopefully be able to see past age related stereotypes and concerns. Though workers are protected against discrimination based on age by the Employment Equality (Age) Regulations 2006, there may still be age related concerns in the workplace. Understanding age related stereotypes, asking about age related concerns, addressing age related concerns and encouraging ageless activities are all ways in which workers and workplaces can decrease age related concerns.